St. Louis encephalitis is a viral disease spread by infected mosquitoes. This disease can affect the central nervous system, causing severe complications and even death. St. Louis encephalitis was first recognized in 1933 and epidemics have occurred sporadically and unpredictably in the subsequent decades. During epidemics large numbers of people become seriously ill, sometimes fatally. 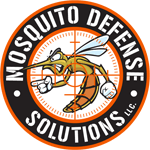 It is important to distinguish between the human disease that we call St. Louis encephalitis, and the mosquito-transmitted virus that may cause such disease. Even during epidemics, only a small proportion of individuals that are actually infected with the virus become ill. The virus is more common and widespread than disease. Different strains of the virus vary substantially in their ability to cause disease, suggesting that development of epidemics could be favored by the local appearance of a “hot” strain of virus.